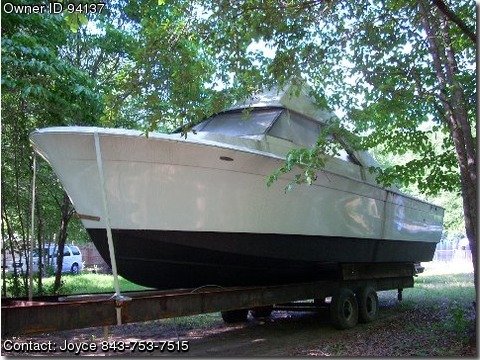 Call Boat owner Joyce 843-753-7515. 31' CHRIS CRAFT PROJECT BOAT THE WHOLE OUTER OF BOAT HAS BEEN PAINTED AND REGLASSED. ENGINES AVAILABLE HAVE BEEN STORED UNDER COVER AND WERE RUNNING WHEN REMOVED.